The mobile home model Pinellas has 3 Beds and 2 Baths. This 1306 square foot Double Wide HUD Manufactured Homes is available for delivery in Florida, Georgia, Alabama, & South Carolina. 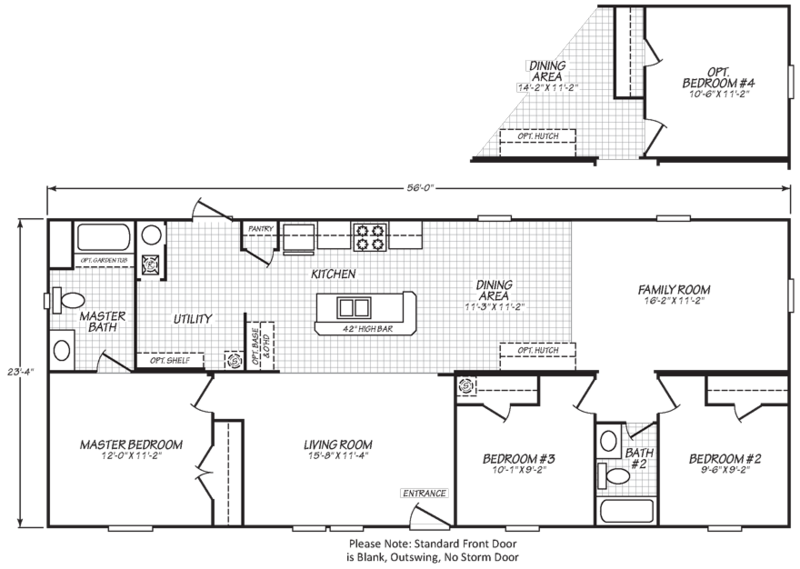 This three bedroom two bath double wide mobile home measures 1,306 sq ft. This home has both a living room and family room. The kitchen has a large island and a pantry closet. Contact us today to learn more about this new mobile home. Ask your housing consultant about the other great features that come standard on the Pinellas HUD Manufactured Homes or click the links below to view Fleetwood Homes Color Selections, Upgrades & Options, and Other Floor Plans! This location ships homes only to Florida, Georgia, Alabama, & South Carolina. *Shipment states may vary by manufacturer. Please click here for other shipping states.